The holidays are the most wonderful time of the year, but they can also be incredibly stressful. Spend more time with your family than in the kitchen this season and let Seattle’s best seafood restaurant spread holiday cheer with our Christmas Eve and Christmas Day dining! Read on for our Christmas hours and menus and book your table today! Reservations strongly recommended for both dates. For Café reservations please call 206.789.3770 or click here. For Boathouse reservations please call 206.789.3770 or click here. The Boathouse will be serving its regular dinner menu with items like Sablefish in Sake Kasu, Alaskan King Crab Legs, Dungeness Crab Toast and delicious housemade desserts. Or enjoy our $60 holiday inspired 3-course menu which includes a salad, entrée, and dessert (beverages, tax, and gratuity not included). Children’s menu available. The Boathouse will be open from 2:00pm (first seating) to 8:00pm (last seating) on Christmas Eve. The Boathouse Bar will be open from 2:00-8:00pm on Christmas Eve. No reservations are needed, and service is first come, first served. Children’s menu available. The Café will be open from 11:30am (first seating) to 8:00pm (last seating) on Christmas Eve. Ray’s Café Bar will be open from 11:30am to 8:00pm with regular menu offerings and on a first come basis. No reservations needed. The Boathouse will offer its regular dinner menu plus a $60 holiday inspired 3-course seasonal menu that offers either soup or salad, a choice of entrée, and dessert (beverages, tax, and gratuity not included.) Full children’s menu available. The Boathouse will be open on Christmas Day from 2:00pm (first seating) to 8:00pm (last seating). The Boathouse Bar will be open from 2:00pm to 8:00pm on Christmas Day. Regular menu will be available. No reservations are needed, served on a first come first served basis. A full children’s menu will be available. Ray’s Café Bar will be open from 12:00pm to 8:00pm. No reservations are needed, served on a first come, first serve basis. 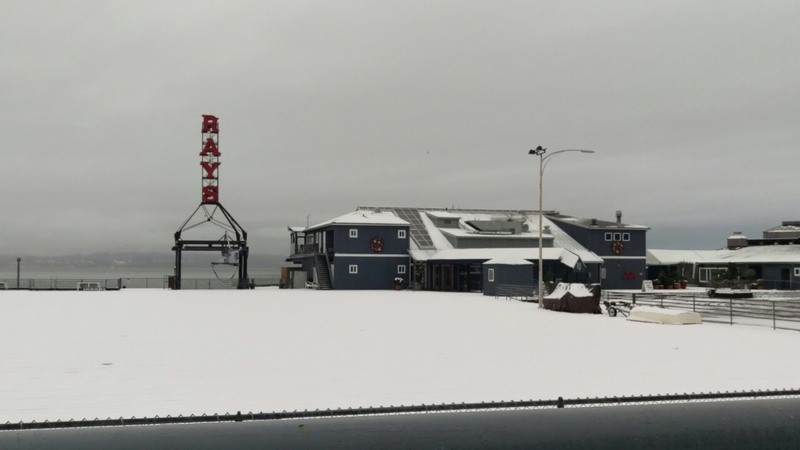 *Ray’s Boathouse and Café will not be offering senior discount, passport or other promotional offers on Christmas Eve or Christmas Day.